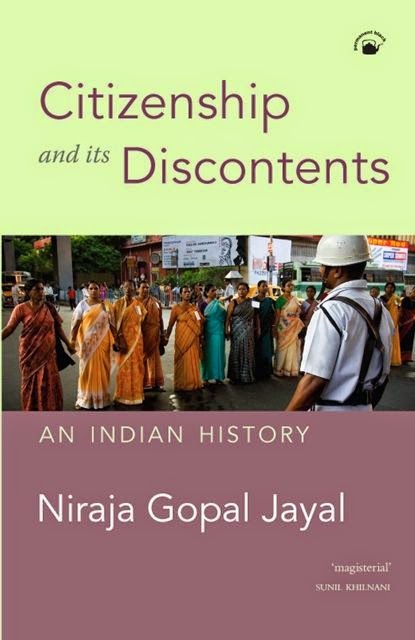 How wonderful that Citizenship and its Discontents, by Niraja Gopal Jayal has won the 2015 A.K. 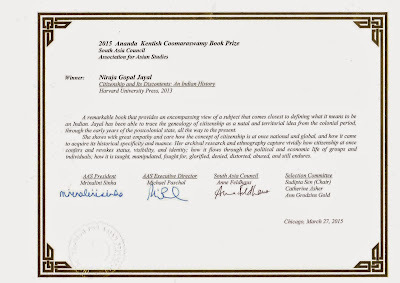 Coomaraswamy Prize. 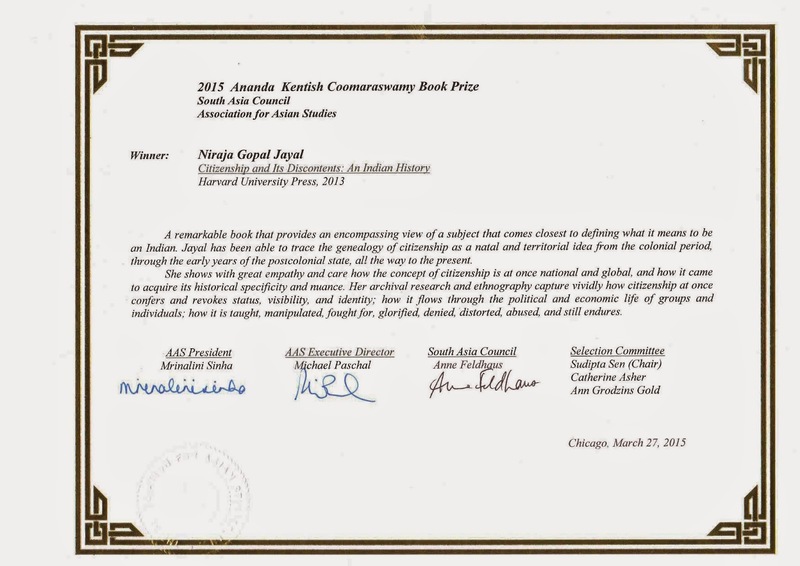 Here's the citation from the Association for Asian Studies. All the praise in the citation is richly deserved. It's about to come out in paperback with this lovely new cover.